GM's added launch control to the Corvette ZR1 (and other manual-equipped Corvettes in the lineup!) for the 2010 model year. Good, cause wrangling 638 HP is nigh-on impossible even in a chassis as competent as the one underpinning the 'Vette. Launch control. On face, it's an anti-manly feature. Using it is an admission of incompetence; You're fundamentally admitting the car is it's own master, and you are only a passenger. Fine. It still makes a tire-shredding drag run ride a hell of an awesome thing. Launch control for the 2010 ZR1 is buried in the traction control options. So how do you do it? Press the traction control button twice and you put the car in performance mode, rock the ZR1-only traction knob once and you're sitting pretty in the performance dry programming. Now is when all the magic happens. You put the car in first gear and mat the accelerator with the right foot, clutch with the left one. Normally this would mean bouncing the engine off its rev limiter and being a total prick to all the internal components, but in the ZR1 the engine bounces off the 5000 RPM mark then settles in right at the 4000RPM mark. With that 6.2 liter supercharged monster serenading you, the next step is to do what you're taught to never ever do with a manual transmission car — dump the clutch with extreme prejudice. It feels wrong, but it delivers results that are oh so right. For the controls engineer in us, this next part is like magical happy land. To provide launch control, the car starts by measuring wheel spin. By measuring fleeting instances of wheel spin, it determines the surface friction available and the maximum amount of torque the wheels can handle at a given speed, it then sends a torque request to the engine which delivers the maximum power exactly by modulating fuel and spark for every instant of torque demand. It's a beautiful feedback loop which delivers crushing performance. It's definitely fast, but it's very dependent on the driver too. Dog the clutch release and the car will bog down and only deliver a 4 second 0-60MPH time. Shameful. But if you let if go just right, like we did, you'll see a crushing, blistering, surreal times of only 3.48 seconds (Ben's being somewhat modest here. He had the best time of the day and best of all the auto journalists in attendance — Ed.). 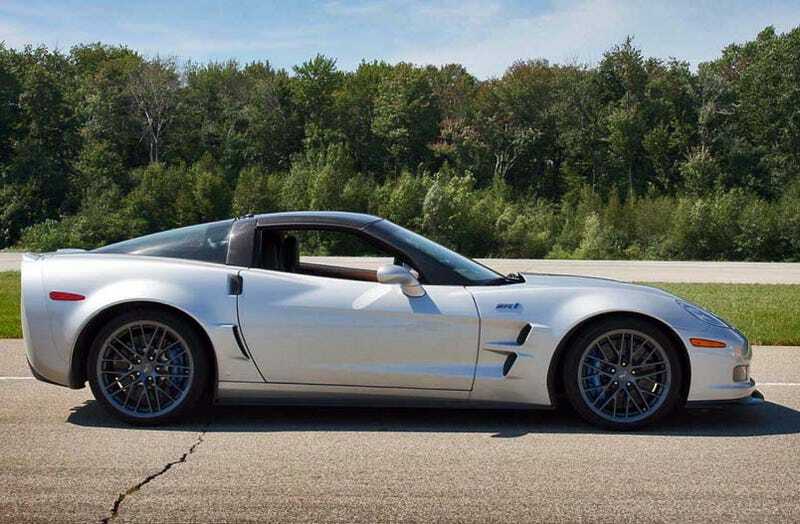 Considering the ZR1's quoted time with an experienced pro-driver behind the wheel is 3.4 seconds, this is as close to perfect as you can possibly get. Of course, you can easily defeat the whole system and still get the "oh-my-god-this-car-is-trying-to-kill-me-but-this-is-awesome" experience, but you won't be beating every single car you line up against.